How we keep safe online! We started with a balloon and drew what we thought our world looks like on it. Then, we used globes and atlases to find out about the continents and oceans that form our world. It is much bigger than we first thought! Y2 What does our world look like? We had great fun celebrating STEM week. We interviewed an engineer on Skype and we loved having a go at all of these hands-on activities! We loved having a chance to explore the fire engine today. Thank you SYFR! We have really enjoyed celebrating World Book Day in Palm class; the children looked fantastic in their costumes! This afternoon, we were lucky enough to be visited by a local author (Helen Stokes) and illustrator (Kathryn Herold). They came to speak to us about their book 'The Little Urban Fox'. It sounded very exciting and we even had the chance to come up with some ideas for the fox's next adventure! We had a wonderful Christmas party. There was lots of singing, dancing, party games and of course a visit from Santa! We were very excited to finally perform in front of an audience this week. The children have all worked incredibly hard learning lyrics, lines and dance routines. Well done, everyone! We were visited by Jamie and Gwen this week who came to speak to us about working in Sheffield. Gwen worked in the steelworks during WW2 and told us lots of interesting anecdotes about her experiences working on the machines. Jamie works in Sheffield now and showed us how Sheffield city centre has changed over time. We really enjoyed speaking to Gwen and Jamie. Thank you for visiting! What a busy week we've had in year two! We have worked hard tasting, baking, researching and advertising our delicious apple biscuits ready for the market. Well done, everybody! In our P4C lessons, we have been discussing our value for this half term. We read the book 'How to Catch a Star' by Oliver Jeffers and it really got us thinking about giving up. We had lots of ideas to share about why we give up sometimes and why it is important to keep trying also! We received an exciting letter yesterday from Megan who works at the Sheffield Industrial Museums. She has asked us to become museum curators and look after her artefacts! We couldn't wait to start exploring them and set to work straight away. We wore special gloves while we were investigating the artefacts so that they would stay clean. We learned that all of the artefacts gave us clues about life in the Sheffield steelworks. Some were very unusual and we have lots of questions that we want to explore further! We have had a brilliant first week in year two. The children have all worked really hard and have enjoyed getting involved with lots of different activities. We have been counting, reading, skipping, hopping and asking philosophical questions to name just a few! Our first week in Y2 Palm. Marbles, Class Dojo and House Points! The children can earn dojo points as well as marbles while they are in school. House points are awarded for the very best examples of learning and behaviour! 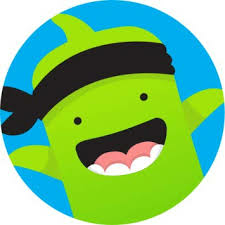 We award dojo points for individual achievements so don't forget to keep track of your points on the app at home. Our aim is to earn 30 marbles by the 19th of October so that we can enjoy our reward - a movie afternoon! Our topic question this term is: how did it all begin? We will be using different sources of evidence to find out about life in the past in Sheffield. We will use images, interviews and artefacts to discover what life was like for Sheffield steelworkers and how their jobs changed over time. We will become curators and present our learning in a Sheffield museum at the end of this half term! © 2019 Mosborough Primary School.